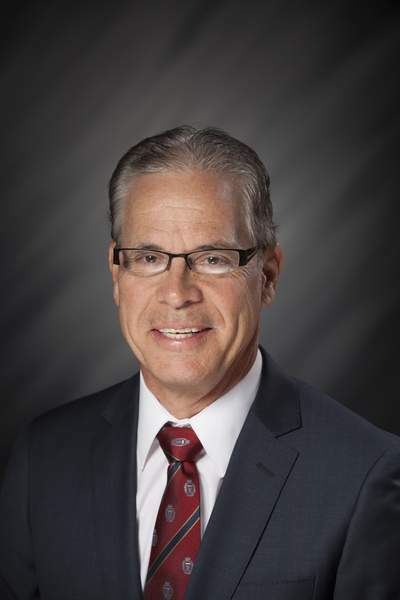 Mike Braun routinely touts his business management experience in his campaign for the Republican nomination for a U.S. Senate seat from Indiana. “I've lived my conservatism in the trenches, not through the lens of politicians. That's the key issue in this race. And I'm proud that I will be able to see things from the real world, not as a career politician,” Braun said Sunday at an Indianapolis debate with his primary-election rivals, U.S. Reps. Luke Messer and Todd Rokita. The trenches apparently have been inhabited by some people unhappy with Braun's businesses. A lawsuit filed last year in California claims that one of Braun's companies, Meyer Logistics Inc., has underpaid and overworked its truck drivers in that state. Tomas Alcala, a former driver for Meyer Logistics, contends in his complaint that the company violated laws by conducting background checks on prospective employees without their consent, failing to provide required meal and rest periods to drivers, failing to pay minimum wages and overtime, and failing to reimburse employees for required expenses. The suit claims Meyer Logistics “consistently required” drivers to work “without paying them for all the time they were” working. The suit, which sought class-action status, was filed in September in the U.S. District Court for the Central District of California. Jasper-based Meyer Logistics has an operation in Ontario, California. A related company, auto parts distributor Meyer Distributing Inc., in 2010 settled a lawsuit filed by a fired delivery driver in Oklahoma who claimed he was owed unpaid overtime wages. The former driver had sought $75,000 in actual damages and $10,000 in punitive damages. Meyer Distributing also agreed to pay $39,402 in back wages at its Jasper headquarters after the U.S. Department of Labor found 26 violations of the Fair Labor Standards Act related to unpaid overtime from December 2008 through December 2010. Braun is founder and chief executive officer of Meyer Distributing and owner of Meyer Logistics. His campaign website states that Meyer Distributing “has grown to be among the industry leaders in auto parts distribution” under his management. Braun, a former member of the Indiana House, has campaigned extensively on his business acumen. When he announced his candidacy in August, he told The Journal Gazette he was running for a Senate seat “because I can hopefully weigh in on some things that have challenged my business along the way and I think have challenged other folks as well,” including health insurance and the income tax code. Meyer Distributing was named the Warehouse Distributor of the Year in 2010, 2015 and 2017 by the Specialty Equipment Market Association, an automotive industry group. The winner of the May 8 Republican primary election will challenge Democratic Sen. Joe Donnelly in the Nov. 6 general election.